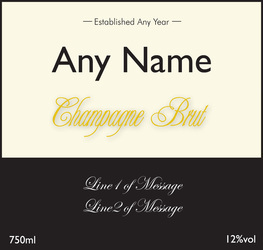 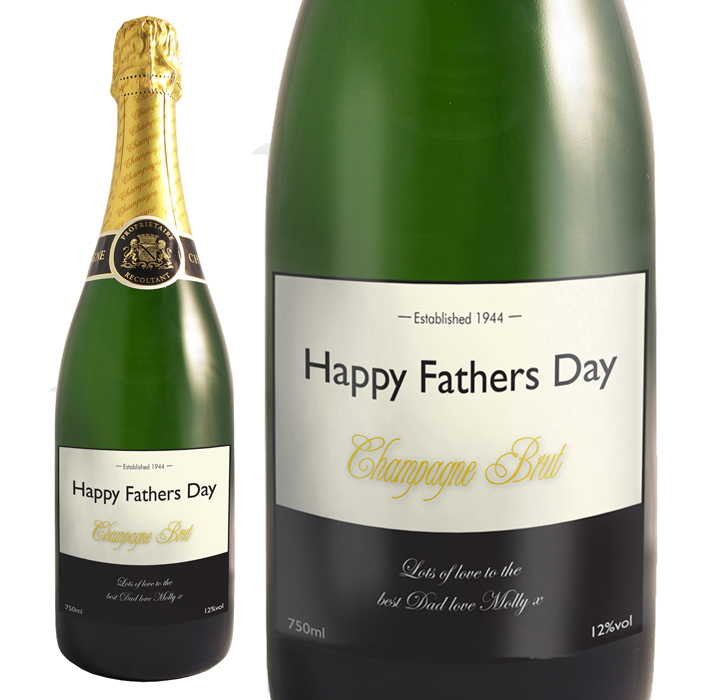 The bottle label can be personalised with a year following the wording established. 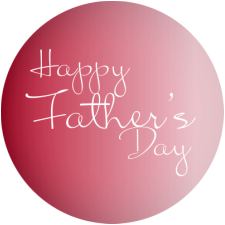 Then add any name or message below and your message over two lines up to 30 characters each line in the black area of the label. The wording 'Champagne Brut' is standard text.